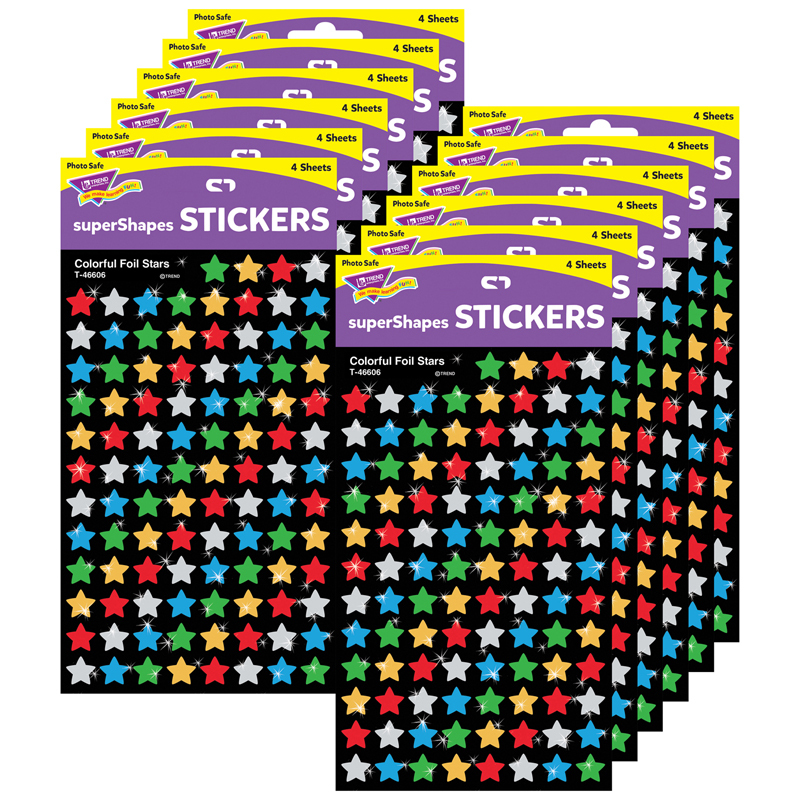 Vibrant stars, an enduring classic for all ages. Perfect for Incentive Pads and Charts, notes, stationery, and artwork. Endless possibilities. Acid free, nontoxic, and safe for use on photos. 5 colors (gold, silver, red, blue, green), 400 stickers per pack. Includes 12 packs.